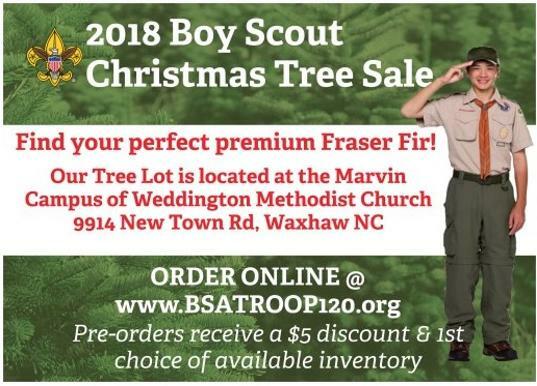 Come support our Troop at Marvin UMC (see Contact Us) for our annual Wreath & Christmas Tree Sale from November 29 to December 2! 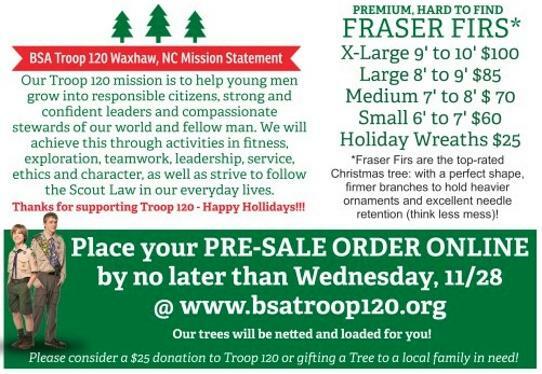 Pre-Orders will receive a $5 coupon for Harris Teeter. 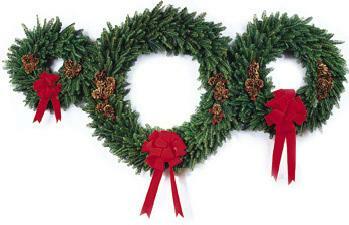 Please consider donating to our Troop if you do not wish to purchase a tree or wreath.